In parallel with the strategy of the Macao Special Administrative Region Government to develop Macao into a smart city and the action plans formulated in the Macao Tourism Industry Development Master Plan (“Master Plan”), Macao Government Tourism Office (MGTO) has progressively unfolded an array of smart tourism projects towards the aim to optimize visitors’ travel experiences before, during and after their trips, provide grounds for studies on formulation of future destination marketing strategies, as well as sense, divert and disperse visitor flows at tourist districts and crowded areas. Presented today (12 December), three smart tourism projects are expected to come into operation early next year. MGTO held a press conference today to deliver the preliminary results of smart tourism development. MGTO Director Maria Helena de Senna Fernandes and Deputy Director Ricky Hoi attended the press conference, whereas Acting Head of Organisational Planning and Development Department of MGTO, Herbert Choi, and Senior Expert of Machine Intelligence of Alibaba Cloud, Jintong Zhu, presented the projects. Director Senna Fernandes stated that the SAR Government is vigorously building Macao into a smart city in all areas. In a travel destination like Macao, smart tourism remains a significant component of Macao’s transformation into a smart city. In light of this, it has become MGTO’s major task to lead smart tourism development towards new progress. In the Master Plan delivered in 2017, MGTO has mapped out a range of development strategies to push forward smart tourism under the guidance given by the Five-Year Development Plan (2016-2020) of the Macao Special Administrative Region. When the SAR Government and Alibaba Group signed the Framework Agreement of Strategic Cooperation on Smart City Development, MGTO immediately embarked on the first stage of cooperation to foster smart tourism development with Alibaba Cloud, a subsidiary of Alibaba Group. The partnership covers three projects namely the “tourism information interchange platform”, “application for visitor insights” and “smart application for visitor flows”, which fully capitalize on the leading expertise of Alibaba Cloud on technology such as cloud computing and big data application, to push forward smart tourism development. Director Senna Fernandes pointed out that the projects are basically complete and expected to come into service early next year. 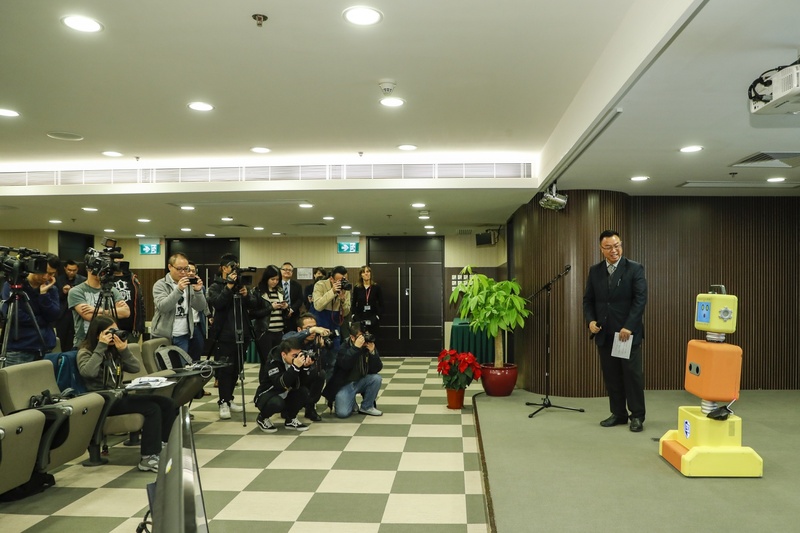 Because of their varying functions, she believes the three projects will bring about convenient experiences for visitors, tourism businesses and even residents in Macao. As technology application continues to deepen in smart tourism, the quality of travel experiences will be significantly uplifted, leading to the considerably lessening impact of visitor crowds on residents and tourist districts. Our Office has so far implemented a range of smart tourism initiatives for residents and visitors, e.g. mobile applications, interactive information screens, the “Gastronomy Map” website, as well as diverting visitor traffic through delivering mobile text messages in accord with geographic locations during the 1st October Golden Week. MGTO will continue to enhance smart tourism development through different partnerships and deepen application of smart tourism in various areas based on the tourism information interchange platform in the future, e.g. collection of statistical data about visitor flows based upon the Internet of things, smart planning of itinerary, brand-new website for destination promotion, all-in-one mobile application about Macao tourism, as well as chatbot, among others. 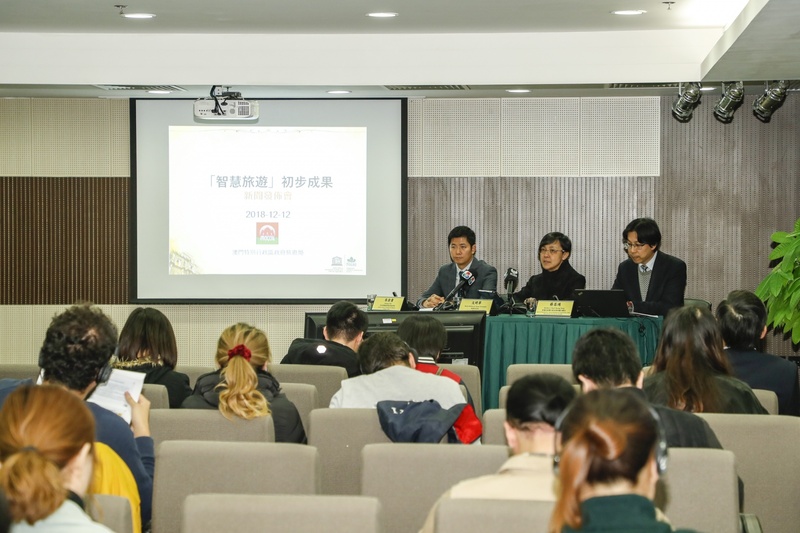 In line with the growing prevalence of innovative technology application, MGTO will conduct opportune evaluations with regard to the direction of smart tourism development and study the applicability of cutting-edge technology in tourism to steer Macao’s tourism industry towards a sustainable future.